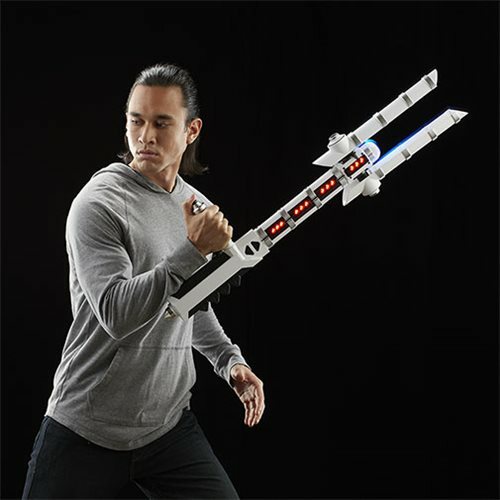 Wanna be a Riot Control Stormtrooper? 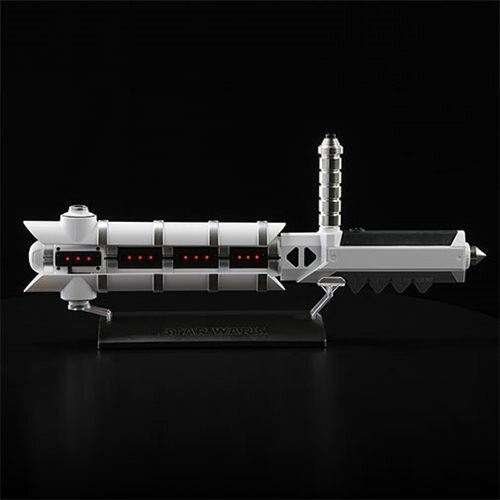 A true-to-story 1:1 scale replica of the First Order weapon. 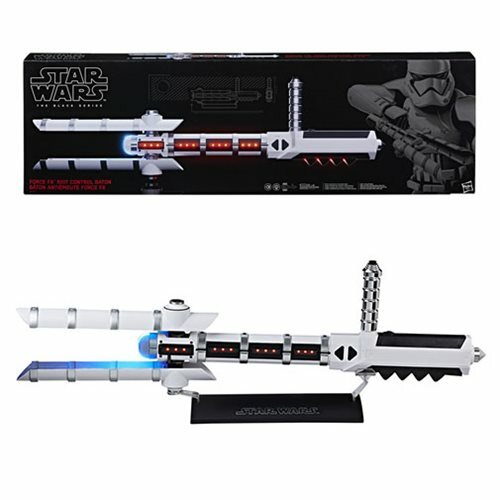 Modeled after the Z6 baton from Star Wars: The Last Jedi. 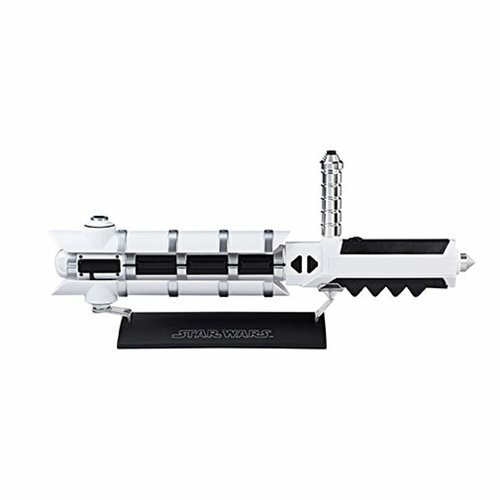 Features a metal handle, flip-to-activate extension, sound effects, and vibrating motor! 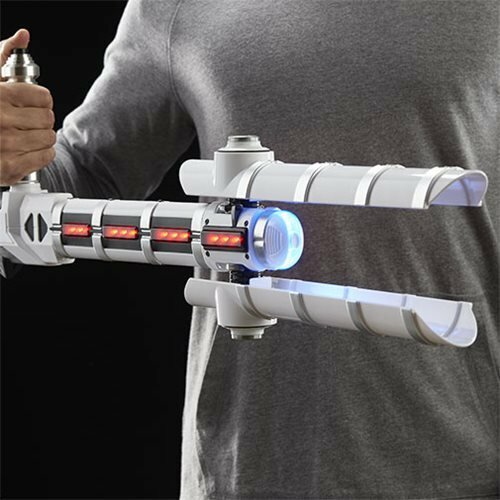 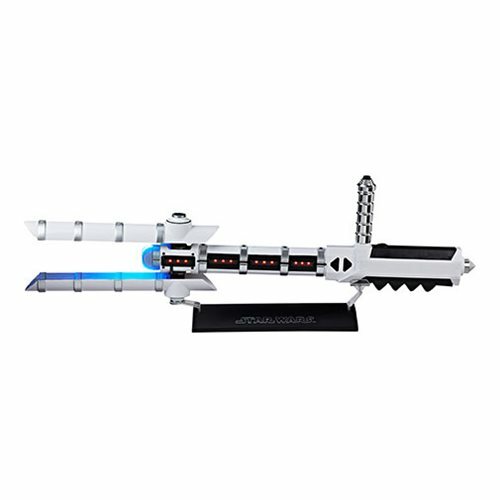 Own a full-scale replica modeled after the weapon from Star Wars: The Last Jedi! 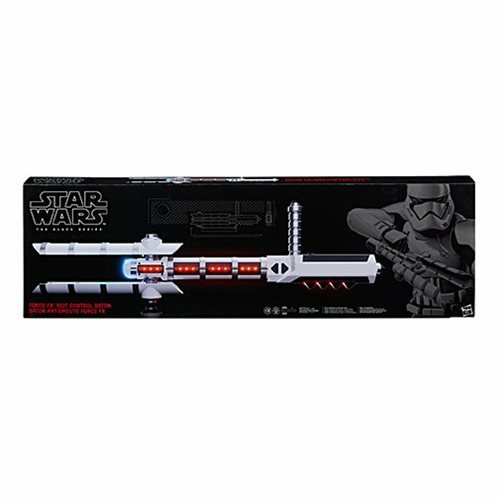 Imagine wielding the electrifying power of a First Order Riot Control Stormtrooper with the Force FX Z6 Riot Control Baton from Star Wars The Black Series, modeled after the weapon from Star Wars: The Last Jedi. A true-to-story replica of one of the weapons of the First Order Stormtroopers from Star Wars: The Last Jedi, this authentically designed Z6 Riot Baton is complemented by a real metal handle and flip-to-activate mechanism for full baton extension. 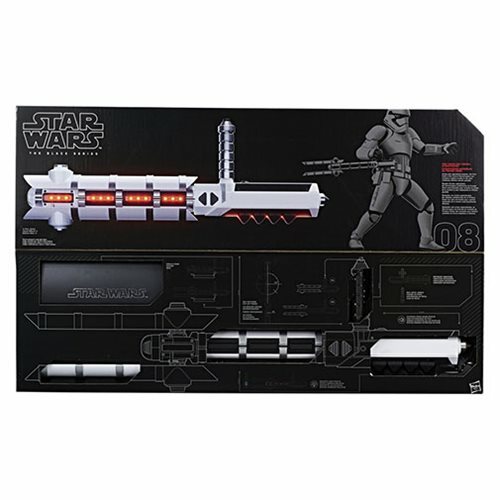 The Star Wars The Black Series Force FX Z6 Riot Control Baton also features authentic movie sound effects, a vibrating motor on the baton handle, a stand for display, and instructions. Requires 3x 1.5V "AA" alkaline batteries. Kids and fans alike can imagine the biggest battles and missions in the Star Wars saga with roleplay items from The Black Series! 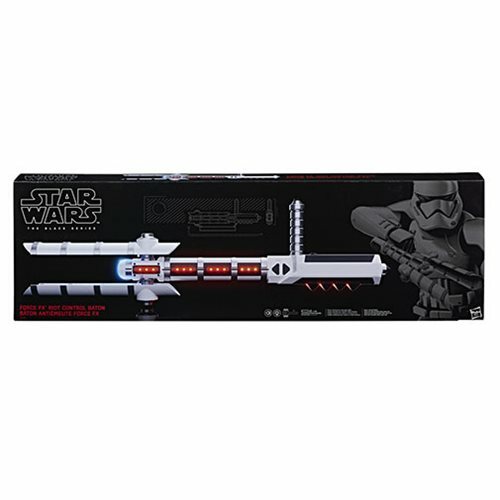 With exquisite features and decoration, this series embodies the quality and realism Star Wars devotees love.